Medical gas systems in healthcare facilities and hospitals are lifesaving and a critical element of patient care. One of the demanding responsibilities of a Certified Healthcare Facility Manager is to ensure their facility remains compliant with regard to the use of medical gases. Compliance requires that all repair, maintenance and inspections are conducted by accredited personnel, usually a third party specializing in medical compliance. Because these gases are so vital, proper installation is of the utmost importance. Do you have the blueprints for the new and the existing system?Engineering blueprints play a crucial role in ensuring patient safety and proper design. What edition of NFPA is your design following? Does this meet the requirements of your state? Have you put together a risk assessment meeting prior to medical gas shut down that ensures all department heads are aware of the project and its potential effects on the facility's patients? Do you have an emergency plan in the event that all medical gases are affected during the project. Do you have at least two times the estimated amount of gas needed to back feed your system? Who is responsible for the medical gas back feed? How "temporary" is your temporary supply? Has your back feed been verified and are all NFPA 99 requirements being met? Will your master alarms still function during your medical gas shut down? Are certified ASSE 6010 installers and ASME IX brazers performing the work? Ask to see their NITC identification to ensure they hold up to date certifications for the project. Make sure your contractor will pass inspection. Is the verifying company working for you or the contractor? It is the facility's decision who hires the verifier; choose a verifier whose interests are not with the contractor but with your facility. Will your project be properly documented when complete? Have you updated your life safety drawings? Will you have the technical specifications and manuals for the new components in your system? Piping - In accordance with ASTM B819, piping for distribution of medical gas is a seamless copper tube, identified as Types K or L. "The tube shall be installed in conformance with the requirements of the National Fire Protection Association (NFPA) Standard 99". Medical gas piping must be clearly identified using non removable stickers that are color coded according to the gas. Colors are standardized according to the code provisions in your area and should be spaced along the pipe, no more than 20 ft. apart and also at every valve, at each access door and at each service connection. For buried pipe, a continuous tape or marker shall be placed immediately above the pipe to identify the pipeline by specific name. Valves - must be NFPA 99 compliant. Check valves are used to prevent the movement of gas (or water in plumbing) from going the opposite directions as intended. It prevents ‘back flow’, the flow of gas (or vacuum) from going the wrong way. Source valves must be at the immediate connection of each source to the distribution. Fittings - must meet applicable standards for your specific region. Indoor storage or manifold areas for medical gases need proper ventilation. While vacuum, WAGD, Medical air and Instrument air are generated locally in most hospitals, lower volume gases may come through a piped system from cylinders connected to a manifold. Commonly hospitals will have nitrogen, nitrous oxide and maybe a carbon dioxide produced through a manifold. The infographic below shows most of the requirements for a manifold room as described by NFPA 99-2012. If you are renovating your healthcare facility or under new construction, knowing the requirements prior to installation will be a "life-saver" for you and your patients. If you are thinking of remodeling, CHT can provide a checklist of the most common problems we have discovered and the tests each vendor needs to follow. Of course, each construction site is unique and there is no way every installation conflict can be anticipated, but by pre-planning on the prints and dealing with certified vendors that follow all the guidelines your verification can become a mere formality. Reference NFPA 99 5.1.3.3.2 (1-9) for design and construction details for locations of central supply systems and storage of positive pressure gases. Proper installation needs to be flawless and work efficiently. 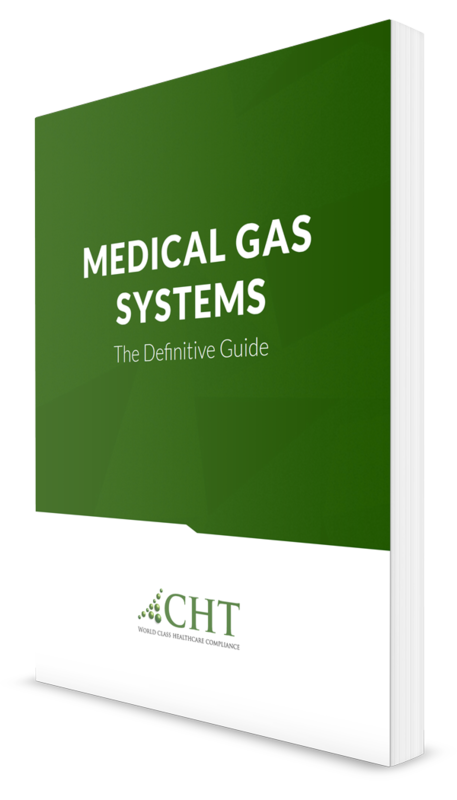 There are 4 components of medical gas systems that work together to deliver or remove medical gases in a healthcare facility. Pipe Fitting - is an important aspect of medical gas. As stated above, materials must adhere to proper piping for distribution. Storage - Production, storage and delivery is a complex process. Storage as discussed within manifold rooms is a key factor in safety. Cylinders are color coded and labeled for identification of their contents. When dealing with "bulk" storage, for example a bulk liquid oxygen - NFPA requires hospitals to maintain a backup gas supply. Delivery - After installation, ensure that gas flow and pressure are consistent and unimpeded. Waste - The purpose of the WAGD system should always be to ensure that gas is making its way safely outside, without getting trapped in any part of the anesthetic gas system, maximizing the safety of the physicians and patients as well as securing the OR. The use of medical gas requires proper installation, consistent maintenance, testing/monitoring, safety practices and inspection. Medical gas installers must be proficient and experienced in the installation of medical gas and vacuum systems covered by the ASSE Series 6000 Standard. "Installers include anyone who works on or installs piping or components, including brazers." All installers must meet the requirements of ASSE 6010, Professional Qualification Standard for Medical Gas System Installers and the ASME IX brazing qualification. There are also approximately six installer-performed testing requirements used as part of verification. 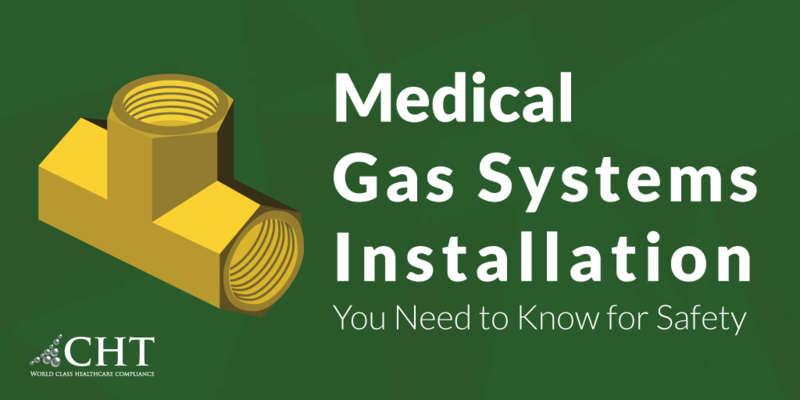 Faulty medical gas installation can result in a hazardous situation. Whether you are renovating an older facility or new construction, healthcare facilities must have the knowledge and experience to handle medical gas safely and properly. 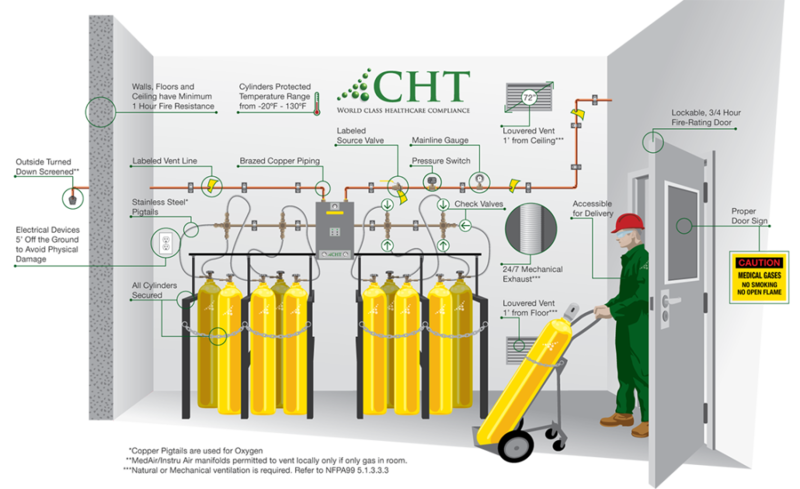 CHT has more construction medical gas verifiers than any other company in the country. You can count on us to manage your complete medical gas projects. Jason Di Marco has been intimately involved with helping hospitals protect and improve their medical piped gas systems from CHT's beginnings. He is certified by ASSE, NITC, and NFPA as an inspector and installer and has worked with major institutions from construction to risk assessment planning.